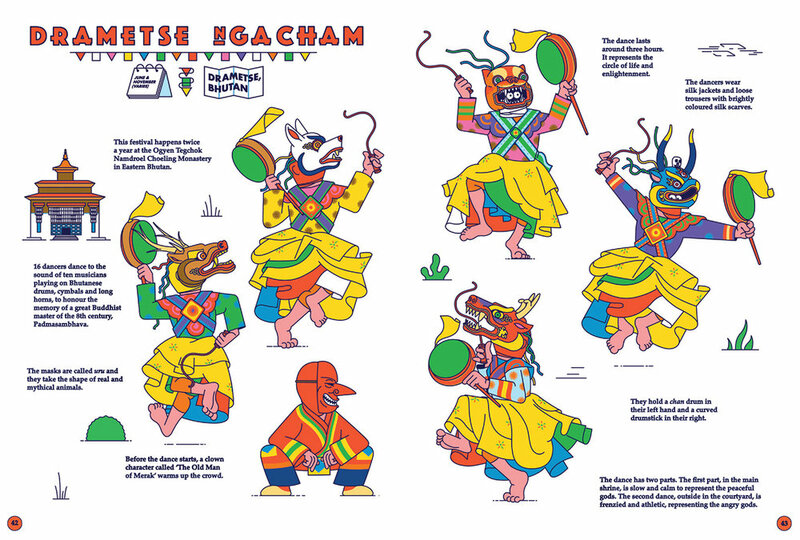 A beautifully illustrated compendium of weird and wonderful festival costumes around the world. All around the world there are little known local festivals, rooted in ancient pagan traditions. 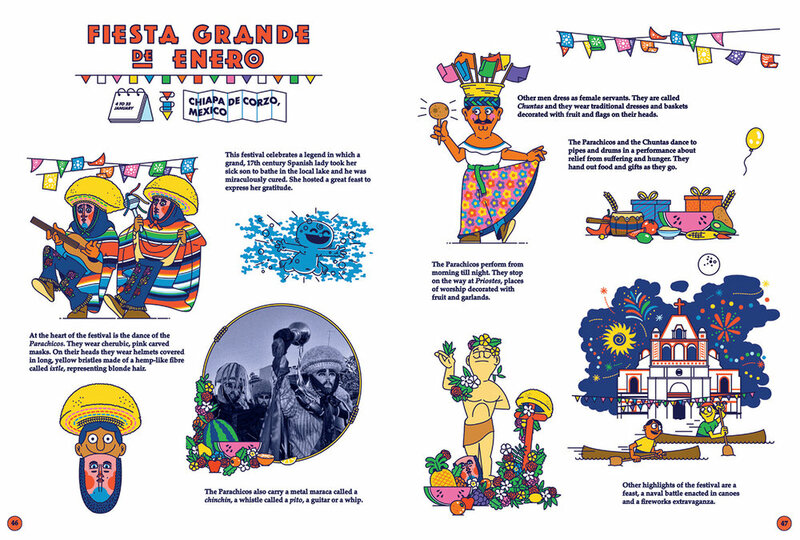 At the centre of these festivals are characters dressed in the most remarkable costumes imaginable. The Kukeri in Bulgaria wear enormous headpieces made of goatskin and The Burryman festival in Edinburgh features a man covered from head to toe with burrs and thorns. 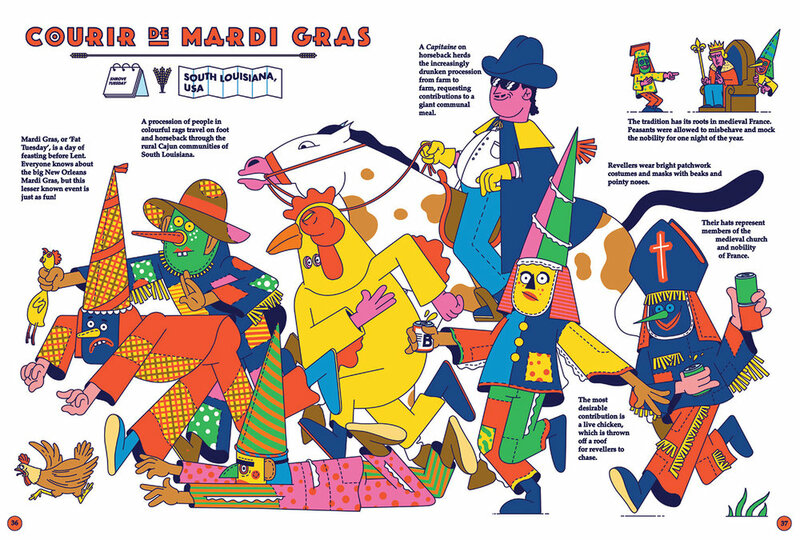 40 remarkable festivals are documented in this offbeat, anthropological atlas that will delight children and travel enthusiasts alike. Rob Flowers is an illustrator whose exuberant, urban graphics have graced the products of Camden Brewery, DC Shoes, House of Holland and the British Museum. This is his first book.